Vanilla Bean Cardamom Sugar Cookies are thick, soft, and chewy, just like you like ’em. 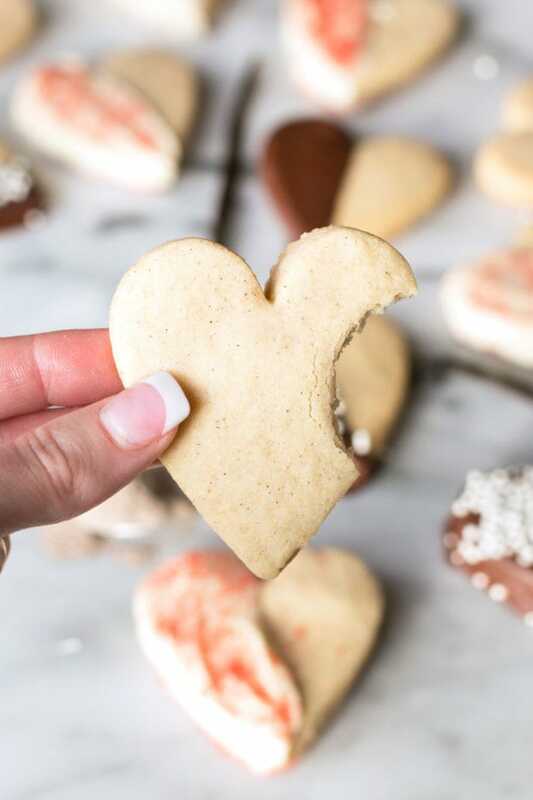 The comforting and rich vanilla bean and cardamom flavors really come through, making this sugar cookie like none other! One of my favorite things in the world is the first bite of a warm, chewy cookie fresh from the oven. A thick sugar cookie can truly solve a lot of the world’s problems (or at least it puts things in enough perspective so all those little problems in your life don’t seem SO huge). I say we could all use a handful of problem-solving cookies in the world right about now, wouldn’t you? As much as I love a classic sugar cookie, I love a sugar cookie with a bit of a flavor twist even more. Have you ever tried baking with cardamom? I honestly have barely experimented with it. I’ve cooked with it on various occasions and I love the range of richness that it brings to savory dishes. However the fragrant spice truly holds a special place in baking as well. Particularly in these oh-so soft and thick cookies! Vanilla bean and cardamom come together to create a fragrant, sweet and somewhat magical cookie. The cardamom fills your kitchen with such an intoxicating smell and the flecks of vanilla from the vanilla bean paste I used dots the cookies in the most lovely way. 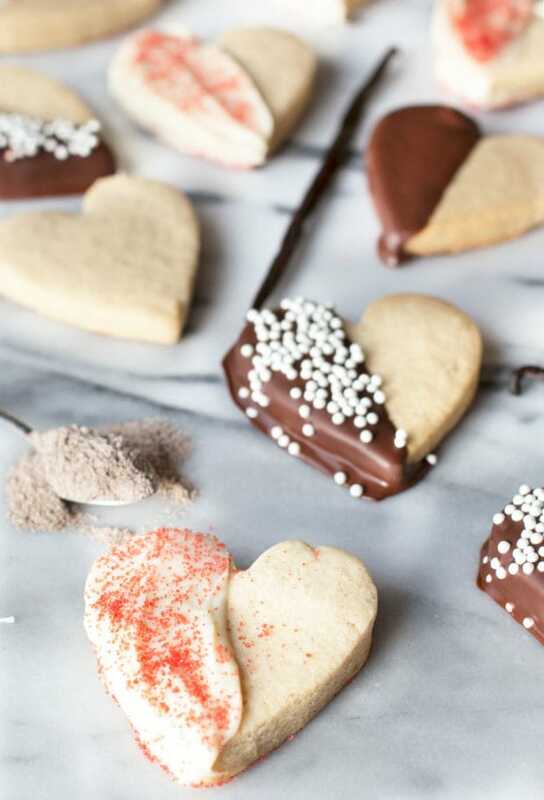 Then you dip half the cookie in either white or dark chocolate… it just gives a little punch of chocolatey sweetness that you’re probably craving. Heck, you can even leave the chocolate and sprinkles out of the picture if you prefer! 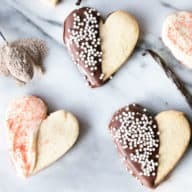 Regardless, when you whip up a batch of these cookies, you’ll be showing the people you share them with (if you can bring yourself to share with anyone that is…) just how special they are to you. And really, isn’t that what baking is all about? 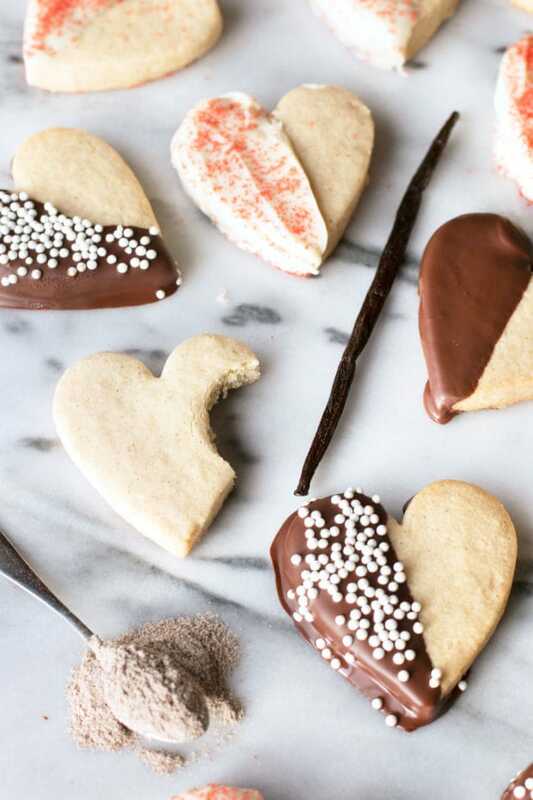 Pin this Vanilla Bean Cardamom Sugar Cookies recipe for later! Soft, chewy and oh-so flavorful, the addition of cardamom makes these cookies absolutely indulgent! Preheat oven to 350 degrees. Line baking sheets with silicone mats or parchment paper. In the bowl of a stand mixer, beat butter until it is creamy and smooth. Add sugar and beat until fluffy, approximately 3 to 4 minutes. Add egg and vanilla bean paste, beating until combined. Whisk together flour, baking powder, ground cardamom, and salt. Add dry ingredients to the wet and beat until incorporated. Turn out dough onto a flat floured work surface. Roll out dough until 1/2 inch thick. 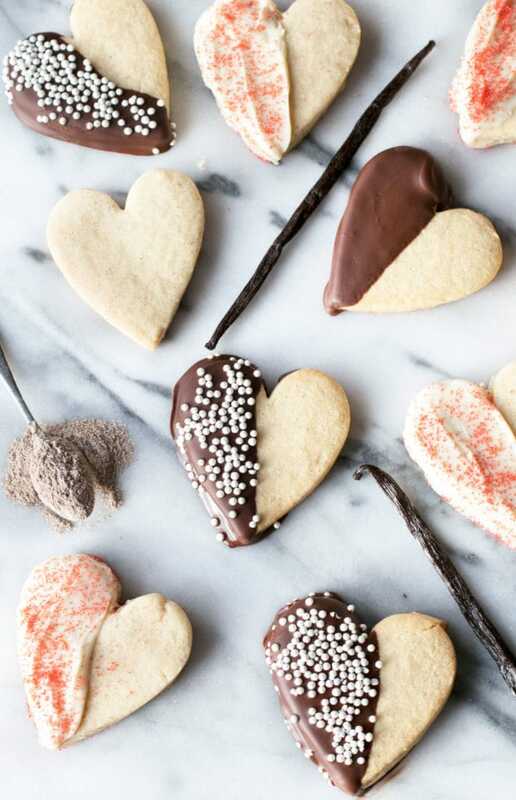 Using a cookie cutter, cut the dough into desired shapes (I used hearts for Valentine’s Day!). Add cut cookies to the lined baking sheets. Chill cookie dough for approximately 5 minutes in the freezer. Bake cookies for 10 to 15 minutes, until the edges are golden brown but the cookies are still soft. Let cool completely. 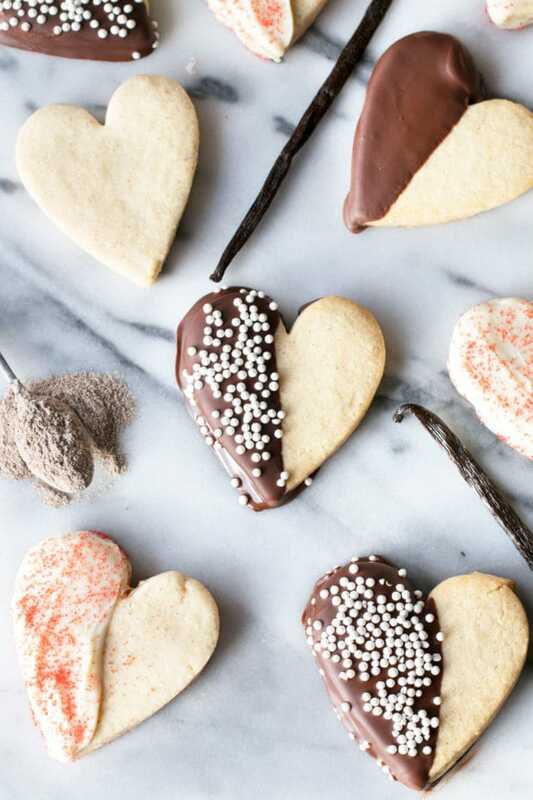 Dip cookies in white and/or dark chocolate. Decorate with sprinkles as desired. Chill until the chocolate is set, approximately 15 minutes.